When one thinks of Chinese food with a Sri Lankan flavour, the first and only place that has been at the tips of peoples’ tongues for generations has been Chinese Dragon Café (CDC). 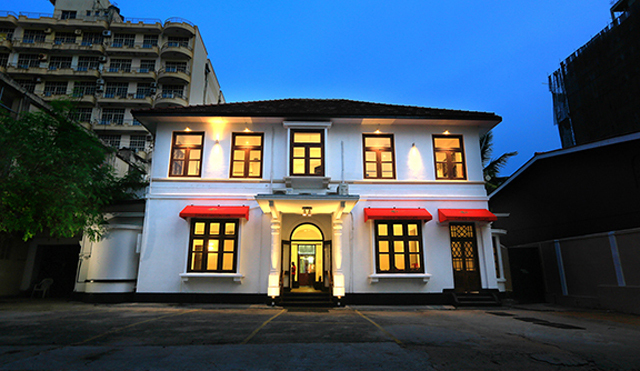 The CDC Group has recently completely renovated its original and oldest branch situated in Milagiriya Avenue, Bambalapitiya to ensure that their oldest and most loyal customers get the best dining experience in a new refurbished space which still has the old-world charm of the original venue. The Group has also recently opened a new outlet in Wattala, which is located on Negombo Road, close to the Wattala Police Station. This is the Group’s 5th outlet. Customers can choose to dine in, take away, get food delivered or use the catering service to enjoy some of the famous, exciting and enticing dishes that Chinese Dragon Café has offered through the years that have brought pleasure and satisfaction to palates of all ages. Operating under a new ownership the Group has taken efforts to be the best in food quality and service with its impressive dining and kitchen facilities and highly trained staff that are efficient, friendly and well versed in customer needs and requirements. In order to improve customer service, the call centre has been centralized with properly trained staff that is able to cater to any query, from a basic home delivery or mass catering inquiries, thus improving the call-in experience. Chinese Dragon Café Catering Service is well equipped and has catered to groups as large as 2,000 at both indoor and outdoor locations. Deliveries or pickup orders start as low as Rs. 180/= if a customer chooses the popular DRAGON pack and can be delivered to any location within the Colombo city limits and the greater suburbs from Moratuwa to Wattala. CDC is the only Chinese food chain that has introduced the SMS dispatch system for delivery and pickup orders where customers are kept aware of the status and delivery information of their orders. In efforts to focus on customer satisfaction, Chinese Dragon Café conducts customer surveys and obtains valuable feedback through the phone, email or social media. The re-launch of the Group’s Facebook profile has attracted a fan base of over 80,000 and is still growing. To engage more with its fans and customers Chinese Dragon Cafe has started to recently run promotional campaigns through various media. Chinese Dragon Café’s legendary Chinese Chilli Paste can also now be purchased in abundance. Due to popular demand the Group has started to bottle and sell its unique chilli paste in 300g glass bottles and is available at any of the branches and can even be delivered to your home. Vegetarians can also now enjoy the flavours of the Chinese Dragon Café Chilli Paste as the Company has developed a unique vegetarian version of their famous Chilli paste which is also bottled and sold and is available at any of the restaurants upon request. In addition to Dining in, Ordering via hot-line and Takeaway, the Company has built their own website which consists of all the menu details, pictures of dishes and a secure payment gateway for customers to make payment online using credit cards. This is one of the few online sites in Sri Lanka with such facilities where if you don't have a credit card you can still place an order online and pay at the point of delivery. Chinese Dragon Cafe is the oldest Sri Lankan chain of Chinese restaurants and is the fastest growing Chinese food enterprise in Sri Lanka. The new management’s goal is to give the customer a great experience in Chinese food (with a local flavour) while ensuring efficient service in a clean and hygienic environment where the customers will return time and again for many years to come.